Verizon has announced that its internet plans will be getting a generous upgrade today. They have just announced a brand new Fios Gigabit Connection plan which will be available now to millions of customers around the country. The "gigabit" marketing name is a bit of a misnomer though since the actual speeds will be as fast as 940Mbps down and 880Mbps up. The overall rollout is scheduled to be the largest deployment of gigabit internet services ever. As Google Fiber fades and the service provider price wars continue to rage, it's important to be able to provide fast service at an affordable price if a company wants to stay competitive. The new plan will be available in New York, New Jersey, Philadelphia, Richmond, Va., Hampton Roads, Va., Boston, Providence and Washington, D.C. areas. In addition, Verizon also plans to greatly simplify their offerings in these locations. Customers will have two offerings for Fios internet which include the $69.99 Fios Gigabit Connection, and a 50Mbps plan for $39.99. 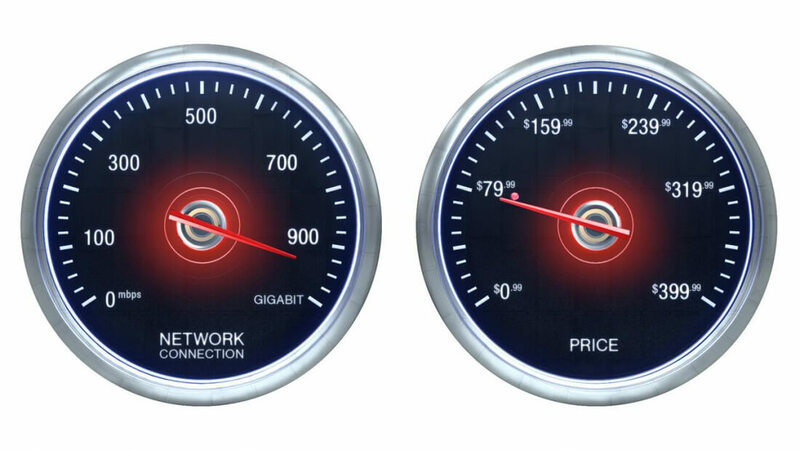 Considering customers could get a near 2000% increase in performance for just $30 more a month, the 50Mbps option seems to miss the mark from a value perspective. The plan is also available in a triple play bundle with a two year contract. This includes the Gigabit Connection, TV, and phone for $79.99 in year one and $84.99 in year two. Existing Fios Instant Internet customers will soon automatically be upgraded to Fios Gigabit Connection and they will also see their bills lowered.